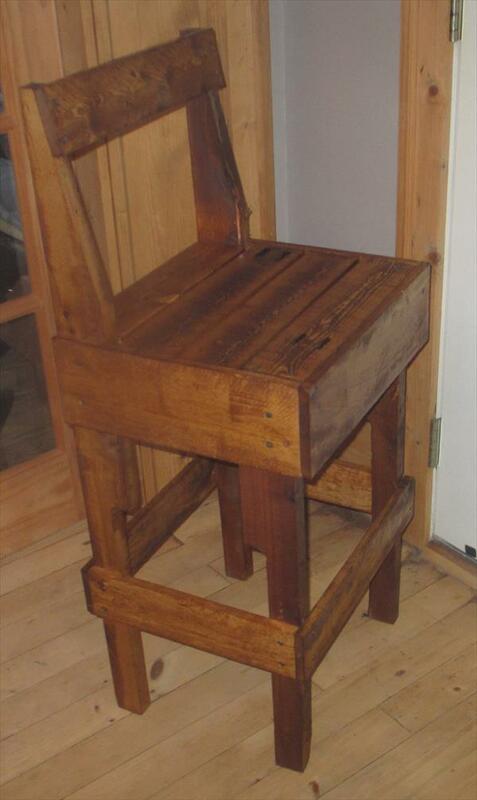 Pallet wood is the major material that is found as a wood waste. After getting off from the heavy ship deliveries, the pallet are mostly thrown as a useless stuff at recycling stations, junk piles and also on trash heaps and in dumpsters. However you can do amazing crafting projects with them to give them a one more chance to be useful again. 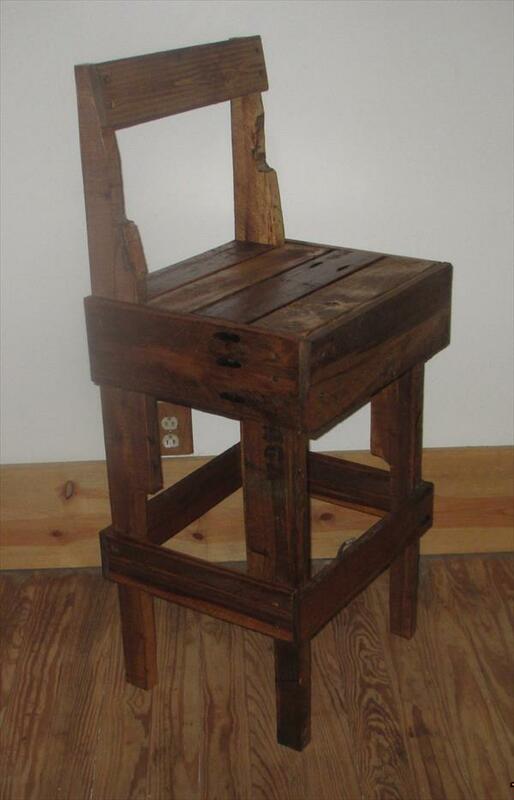 This DIY pallet wood stool would be amazing addition to any home will provide some extra and comfortable sitting place to your living area. This nice design of stool comes with charming backrest and footrest so one can feel really great and snug by sitting on it. It has a raised design for visual attractiveness and would also be perfect table for your drink points and corners. 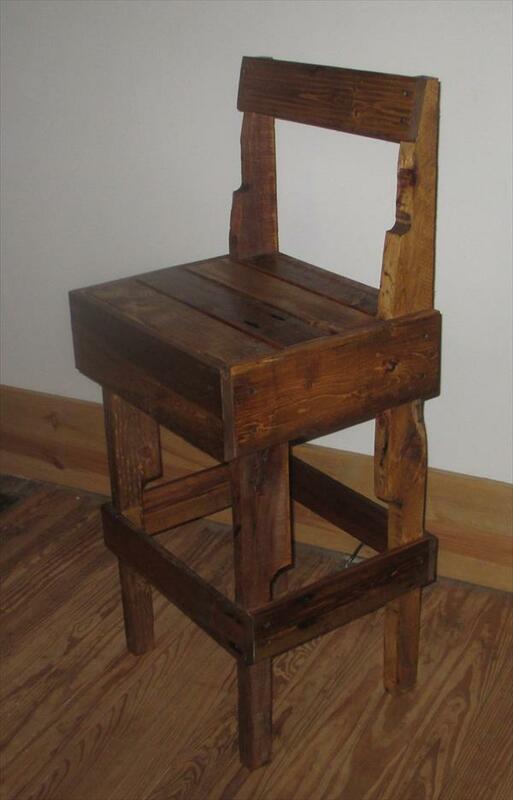 Do try this snazzy layout of stool as it is totally free and super quick in construction. Just take a visit of your tool shed to get some wooden tool and reclaim it out of pallets.